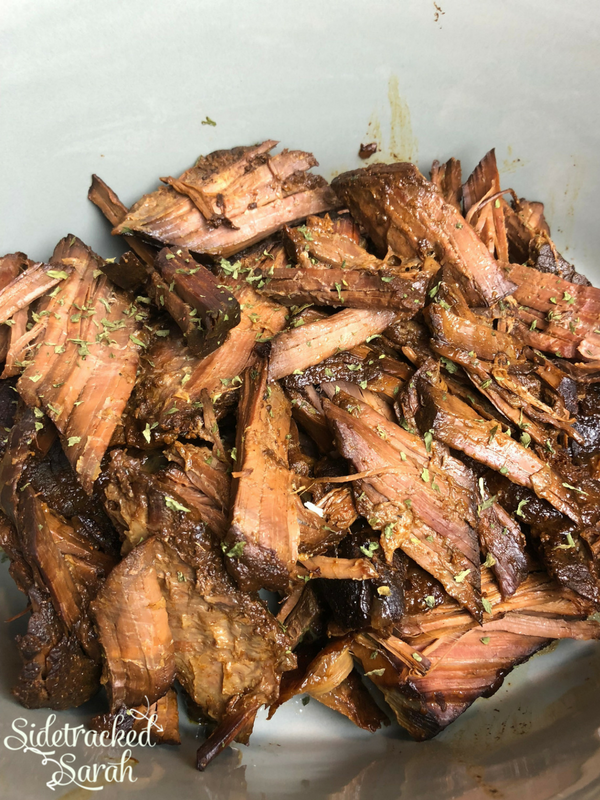 Slow Cooker Honey Barbecue Beef Brisket Is A Delicious Way To Make Brisket Perfect Every Time! We love slow cooker beef recipes including the most popular recipe on the site, Slow Cooker Beef & Cheese Pasta and Gluten Free Slow Cooker Beef Stew Recipe. A good brisket is always such a delicious recipe, but it can be difficult to get right every time. 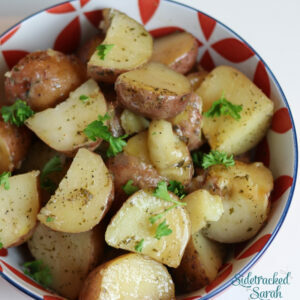 Thankfully, this slow cooker recipe makes it easier and almost fool proof every single time! 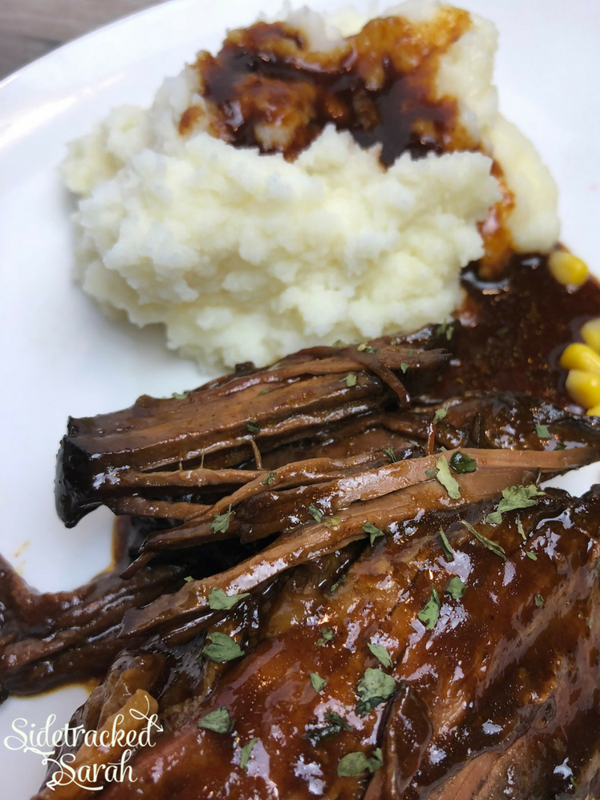 The flavors of this crock pot brisket are perfect and it almost melts in your mouth! I love a good brisket and you will most definitely love this recipe, too! HOW LONG DOES THIS BRISKET COOK? You will want to cook this one on LOW for 10 hours. Usually, a slow cooker recipe has a “high” option too, but this one is better done low. The slower you go, the better your meat will taste and the more tender it will be. WHAT KIND OF MEAT DO YOU USE FOR THIS CROCK POT BRISKET? You can head over to your local grocery store’s meat department and just look for the meat cut “brisket”. There are two different types of briskets available and either will do! 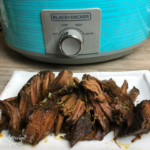 DO I HAVE TO USE BRISKET FOR THIS CROCKPOT BRISKET RECIPE? I know it sounds weird, but I don’t always use brisket, for brisket recipes. The stores in my small town, don’t always have it. Or if they do, it’s a big 10-15 pound slab of meat that won’t work for the recipe I plan to make. Sometimes it costs to much, too. If it does or if I can’t find the right size, I’ll look for a cheaper cut of meat and I’m usually just as happy with a roast or London Broil. HOW CAN I THICKEN THE SAUCE? I took the sauce out of the cooker and put it on the stove to thicken. It worked like a charm! You don’t have to thicken the sauce, but some people would rather have it super thick rather than thin. It is totally a personal preference! 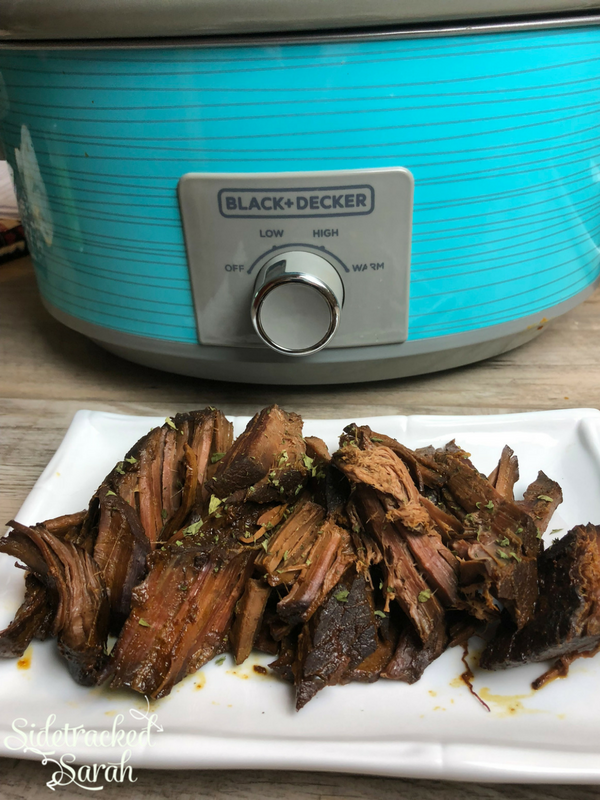 WHAT SHOULD I SERVE WITH MY CROCK POT BRISKET? Here are some great ideas to serve with your brisket! WANT MORE EASY SLOW COOKER BEEF RECIPES? Mix together garlic powder, chili powder, salt & pepper. Place brisket in gallon size freezer safe bag. Mix together Honey BBQ sauce ingredients and add to the bag, coating the brisket. This is my 16 year old daughter Reagan. 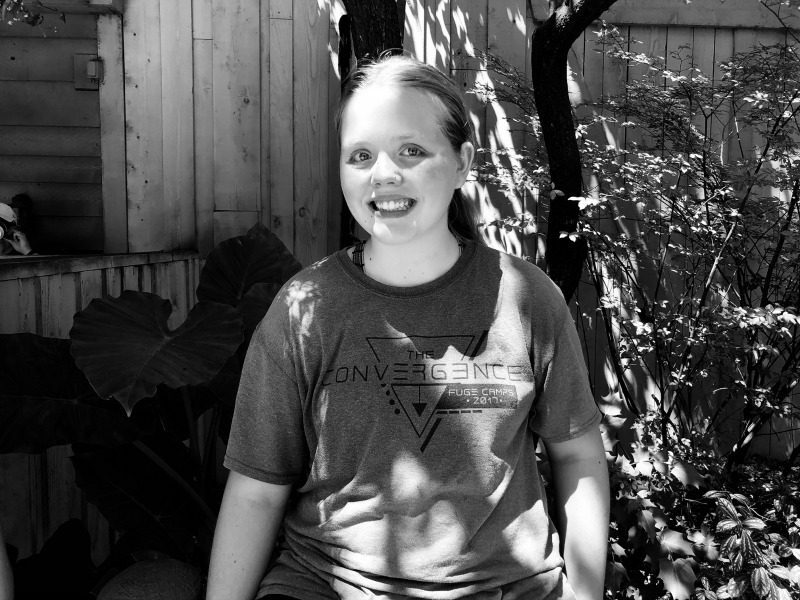 We were at Silver Dollar City in Branson, MO waiting to get on a ride, when my husband snapped this picture of her. She’s the sweetest and growing right up!